Bee pollen is a legendary superfood that has dozens of health benefits. You can now add 'antioxidant superstar' to this list with it being the highest rated food ever tested. As a holistic nutritionist specializing in the use of bee products for healing and health, I've come to rely on bee pollen as a nutritional powerhouse and have written about the many bee pollen health benefits extensively. With it's high protein content, bee pollen contains over a dozen vitamins, 28 minerals, 11 enzymes and co-enzymes, and 14 fatty acids. It really is nature's superfood! And science is really starting to explore the many bee pollen health benefits and the claims around it. 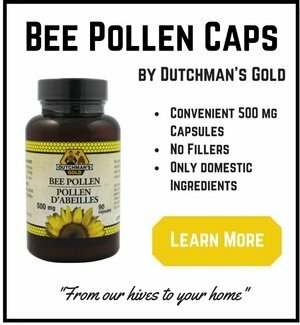 For years there have been endless stories of healing about bee pollen but little scientific evidence to support these claims. 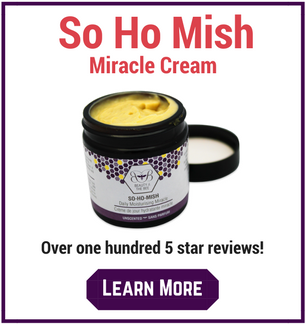 To this day, it astounds me what I see some websites are telling people their bee pollen will do. But with recent advances in technology and food science, we're now able to dig a little deeper into nature's creations and find out exactly why certain foods do what they do for human health. 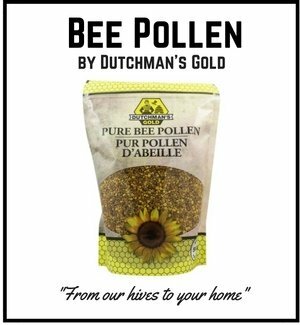 And bee pollen is no exception. Have You Heard of Antioxidants? Antioxidants seem to be all the rage today. With our new found ability to measure the antioxidant capacity of all foods, we're now able to see which foods truly are the healthiest for humans to consume on a regular basis. So why is it so important to consume antioxidants for health and wellness? In the body, unstable oxygen molecules, or free radicals, create cellular havoc in each and every one of us. Free radicals are created by glitches in the body's normal metabolism. They are also created by environmental toxins, smoking, aging, alcohol and the consumption of refined foods. The normal lifespan of a free radical is one millionth of a second. That is because they are so unstable that they will rapidly use their biochemical force to stabilize themselves. Free radicals exist only long enough for them to bump into something and capture enough electrons or hydrogen atoms to achieve a stable form. This can be extremely destructive for the unwilling donor, which is you in this case. The best example I know of free radicals in action can be explained by the browning process you witness after cutting open an apple. The same process goes on inside your body in every one of your cells...if you're not careful. Free radical damage is associated with many degenerative processes of the body, including cancer, aging, heart disease and most of the common degenerative diseases we face today. Antioxidants neutralize these reactive oxygen molecules and make them stable. And as science is now showing, bee pollen just so happens to be full of these antioxidants! How do we Measure Antioxidants in Food? So how do we know that bee pollen is a potent free radical scavenger? Well, first of all, it is important to know how we measure a food's antioxidant capacity. The most common measurement is called the Oxygen Radical Absorbance Capacity or ORAC test. ORAC is a standardized test adopted by the U.S. Department of Agriculture to measure the Total Antioxidant Potency of foods and nutritional supplements. This standardized test was developed by Dr. Guohua Cao, a physician and chemist at the National Institute on Aging in Baltimore, Maryland. It provides a very precise way of establishing the Free Radical destroying or neutralizing power of a particular food, supplement or compound. With this test in hand, certain laboratories are now measuring the antioxidant content of many different foods and supplements. Black Raspberries have an ORAC score of 164. Pomegranates score 105 and next are Wild Blueberries at 61. One popular bee pollen supplement scored an ORAC level of 247 - the highest score ever recorded for any whole food. In further testing for the polyphenol content of bee pollen,(polyphenols are attributed to containing most of the antioxidant activity in foods), scientists compared the phenolic content of the bee pollen to fruits such as blackberries, peaches and apples. This was done on August 22nd, 2002. The bee pollen posted a total polyphenol content of 15.05 mg/g; the next highest measurement was 5.575 mg/g for cranberries. 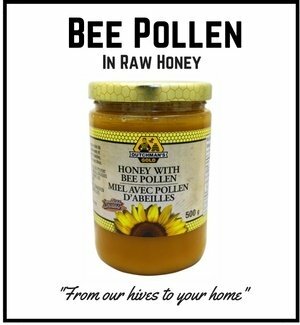 Science has validated that bee pollen is the most concentrated source of antioxidants known to man. With the tidal wave of research now suggesting that 'oxidation' at the cellular level is one of the main causes of all degenerative disease, the super antioxidant characteristics of this ancient superfood just might be the greatest of all bee pollen health benefits!